“We were drilling before we commenced our earthmoving business. In fact the first geotechnical drilling job we ever did was exploratory drilling for a commercial venture that has now come to fruition. Now we are currently engaged on this site in an earthmoving capacity”. 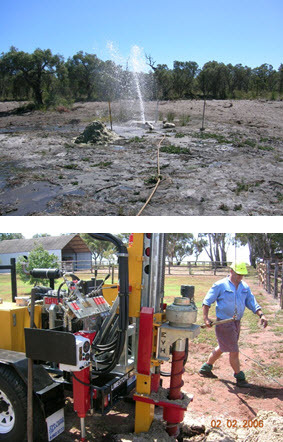 Our drilling activities include, water boring, geotechnical and environmental drilling, diamond and air core.